Barachiel is one of the 7 archangels. He is the leader of the guardian angels. His name means "Blessing of God" which earned him the title of the angel of all blessings and good luck. 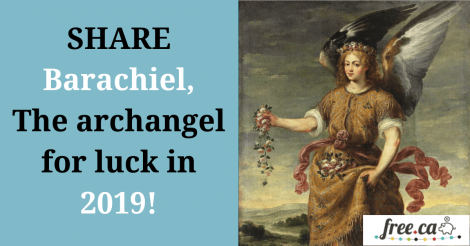 So share this Barachiel post, the Archangel with luck and see if it brings you any luck in 2019!